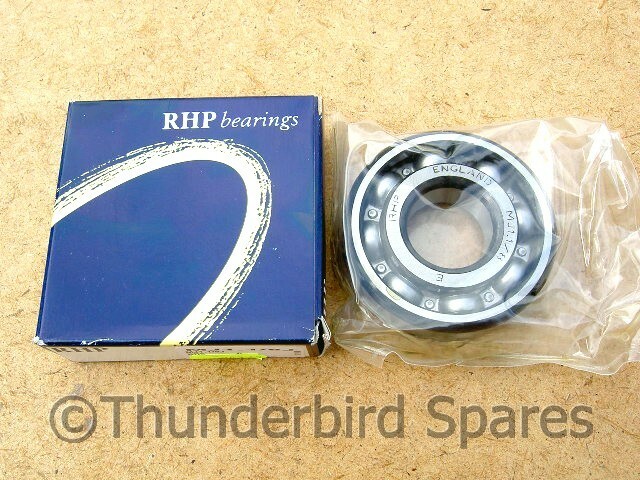 This is a new ballrace main bearing for Trumph twins. It was used as the standard drive-side main bearing on the pre-unit 500 & 650 twins from 1938-62 and also timing side from 1954 to 1962 (big-bearing crank with 1 1/8" journal) and also as the timing side main bearing on the unit-construction 650 twins from 1963-mid 1971 (up to engine number GE 27028). 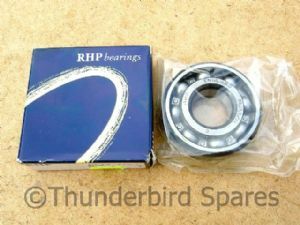 It is a top-quality British made RHP bearing of the correct specification. It has the standard radial clearance (CN), if you need a C3 clearance please see our other listings or email. Original part number was 70-1591. Please check our shop for our other main bearings and email us if you need application information.